Why you should consider attending? A crisis by its very nature is intense and difficult to manage, and for most organisations it is not ‘Business as Usual'. So, the question must be asked, why, when a crisis hits an organisation are team members expected to manage it as part of their normal duties? Preparation and planning is key to handling any incident that may arise and will be widely discussed at this unique one-day event. 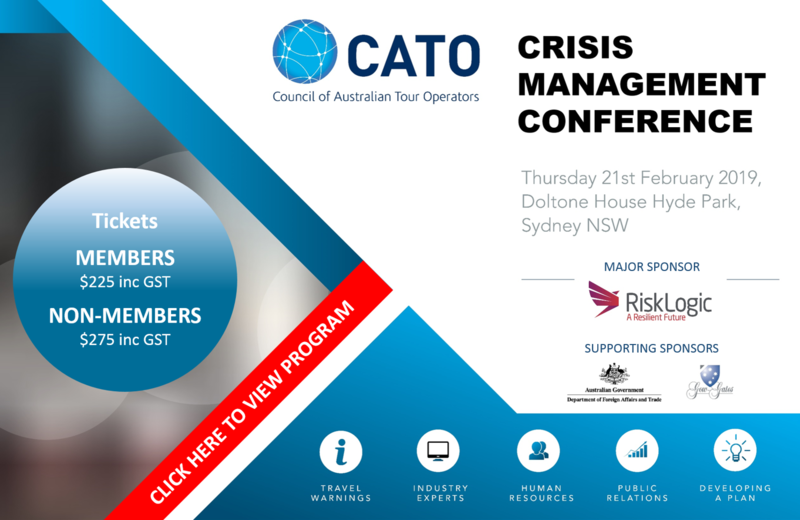 Participants will hear from a range of speakers across multiple areas of Crisis Management including a senior representative from the Department of Foreign Affairs and Trade and experts in the field of Communications, Public relations, Technology, Insurance, Legal and Leadership - all critical areas we should feel comfortable with BEFORE an incident occurs. Tickets will be limited - click on the REGISTER button to secure your place today. RiskLogic is the leading provider of resilience services for the public, private and not for profit sectors throughout Australia and New Zealand. RiskLogic provides pragmatic advisory and consulting services, innovative technology solutions, impactful training services and simulated scenario exercises in the areas of emergency management, incident management, crisis management, crisis communications, business continuity and cyber response.